Legal Disclaimer: This is 85% a true story. I’m sitting in a cold room and a burlap sack has been removed from my face. Behind two floodlights, two lanky fellas are striking a menacing pose, cracking their knuckles. The silence is deadly and then they put on hunting caps. Alas, I’m in front of Oxo Foxo‘s legal team, on a secret location called Old Pig Farm. They turn the floodlights off and offer me a cup of tea. I say I can’t take it unless they untie me. They say they haven’t tied me and I realise it was the weight of all those golden rings I keep nicking what makes my hands heavy. Selah. I wonder if there’s gold rings in this place? Sorry, it’s an old habit. They die hard. ‘The Hunting Song’, previously featured on G2 Studio‘s War on Want (review), is a sweet song. Combining sounds akin to a forest of musical boxes with some overwhelming electronic elements, the cyclical nature of the song feels like swimming in rough seas; moments of calm are soon replaced by increasingly strong waves that might drown you if you aren’t careful. Milk’s fine. Sugar? No, I’m sweet enough. ‘Starfish’ has always felt like a bit of a downer. Don’t get me wrong, I love the track, it’s just that there’s an inherent sadness in it. It doesn’t help that ‘Starfish’ describes exactly how it feels when you divide yourself between the people that surround you. Will each piece represent an accurate portrait of who you are? On a personal note, this song sometimes reminds me of ‘Boys of Summer’ (it’s those piano notes), so maybe that’s also where the hints of sadness come from. ‘Starfish’ is a prime example of how the many layers that Oxo Foxo creates fit perfectly, forming a puzzle that doesn’t show the seams where the pieces are joined. Don’t mind if I do. ‘Snow Days’ is a happier ditty. I’d venture to say is a slightly “hakuna matata” sort of affair. The happy beat and the reassuring promise of “when you need someone to hold your hand / you won’t be on your own” feel like a promise of hope, although the “I’m gonna wrap you and take you home” feels a bit sinister. I’ll assume it’s my paranoia and declare this is a very strange but pretty love song. Love the ambient noises. Said ambient noises segue into the last track, ‘Blindfolded’, the gorgeous closing track with slightly dark lyrics. Mind you, it might not be a physical blindfold, which makes the song even sadder. Still, the Baroque arrangement makes it an exquisite closer. Like a fresh salad with a 60/40 ratio with feta. Which is the proper ratio. Not at all, I reply to one of my captors while the other patiently tunes a sitar. I grab a box by the tea table and open it. A couple of moths fly away and both my captors say a lot of expletives that I don’t plan to type here. So I diligently run away like a blue hedgehog who’s downed too much caffeine and hoards gold rings. I also help myself to another album they had laying around. Oh, well. 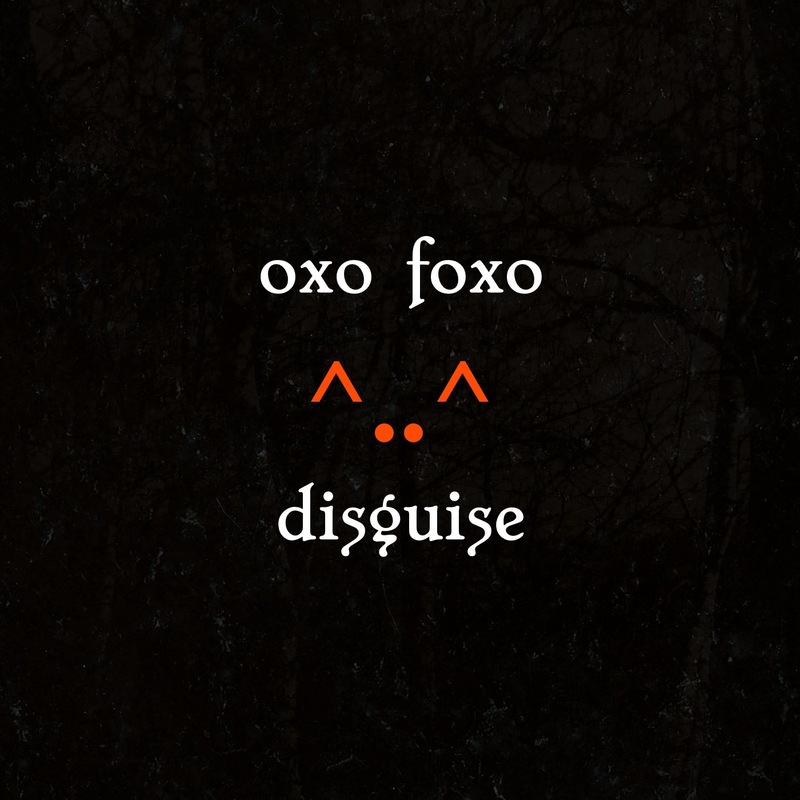 Disguise EP, a five song treat by Oxo Foxo. Listen to it loudly, with good speakers or good earphones. It’s a rewarding work of layered feelings and a unique voice. Oxo Foxo Facebook. Tumblr. Soundcloud. Twitter. Posted in reviewsTagged Disguise EP, G2 Studios, Oxo Foxo, Ramble, The Old Pig FarmBookmark the permalink.